If you spend a lot of time in the great outdoors come rain or shine you should not only wear the appropriate clothing, you should also protect yourself using special outdoor cosmetics. Stormy wind, rain and humidity, fluctuating temperatures and strong sunlight and UV radiation all take their toll on the skin. Outdoor clothing is also affected by the weather and therefore requires regular maintenance with special outdoor care products. Special outdoor cosmetics and outdoor care products allow you to do something good for yourself, your skin and your outdoor clothing while up in the mountains and out in nature. 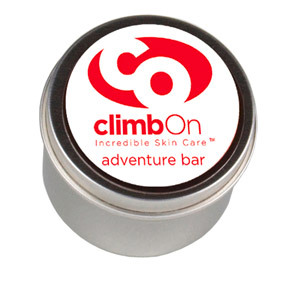 Climbers and boulderers who spend a lot of time on the rock tend to go for outdoor care and cosmetic products by Climb On!. Climb On! They have specially developed creams and ointments for the worn and strained fingers and hands of ambitious climbers and boulderers. Those who spend a great deal of time traveling through the great outdoors and want to do without unnecessary baggage can do no wrong with detergents and soaps from Sea to Summit or Vaude. After all, there's nothing wrong with a few creature comforts when you're on an adventure.